Autolyse in Braddon (and before it Cornucopia) was one of the few artisan bakeries in Canberra that could bake a passable croissant. The closure of both bakeries is still mourned by many. Recently I have been on a hunt in Canberra to see who else is making a good croissant. 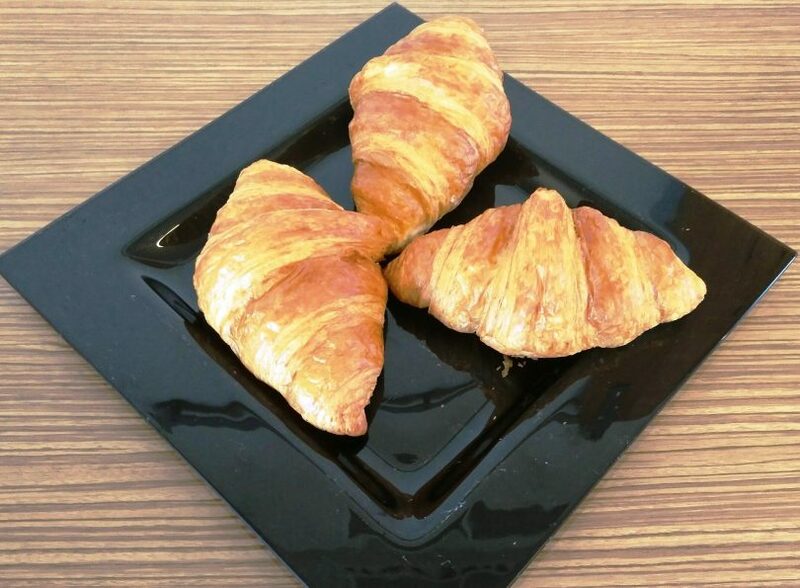 This particular French pastry (supposedly originated in Turkey as a ‘crescent pastry’ is richly layered with butter and rolled from a triangle of dough) came to France via Austria. 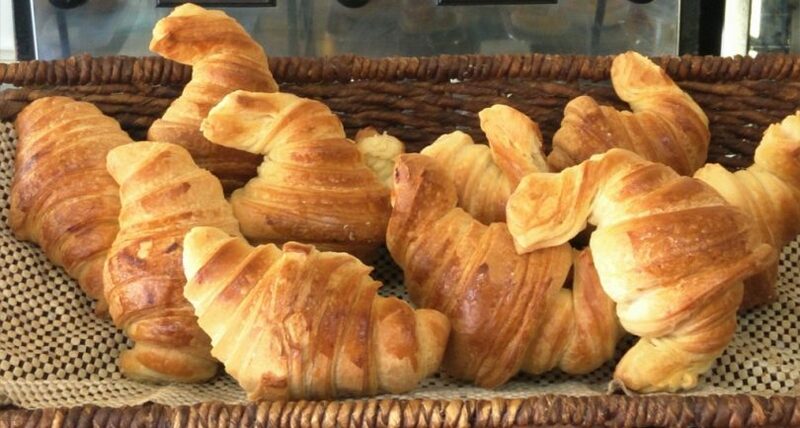 A croissant can be simply described as golden and flaky, a bit salty, buttery and should melt in your mouth. 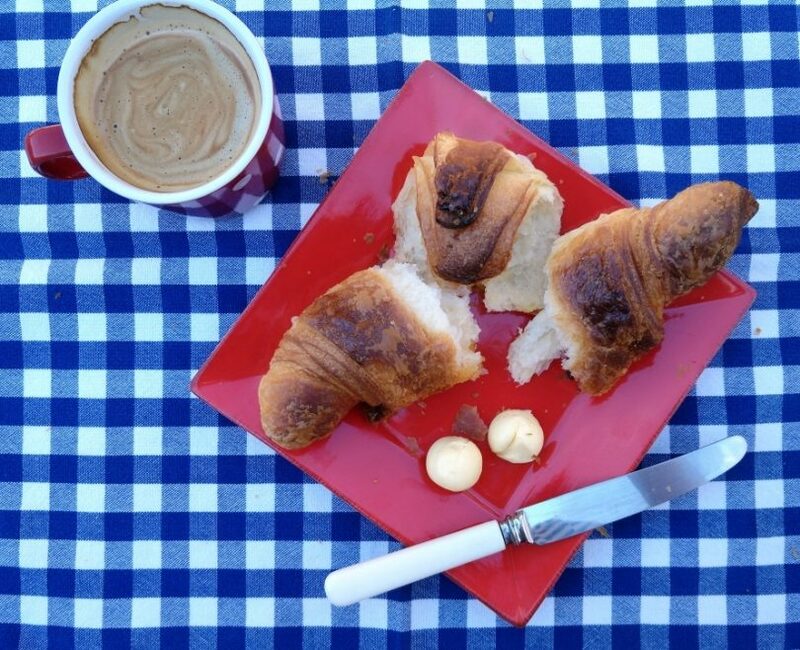 A good croissant should be all about the taste, the smell, the crunch of the crust and the softness of the heart. Bakers who battle to reproduce this delectable French pastry – so beloved of the French for breakfast – blame baking difficulties on the availability of suitable flour, the fat content of Australian butter, and even the weather. First stop was a very old favourite in the Sydney Building in Civic – the Croissant d’Or. It has been around for decades, has had more than one owner and has fought the challenges of liquidation and closure due to a fire. Their croissant was a nice size, glazed and not too crunchy, and at $2.80 the cheapest one I encountered (prices across Canberra range up to $4.00). I was starting to feel quite optimistic about my mission. I stumbled on Le Bon Melange located in a sunny corner of Gungahlin, just behind the Town Centre by simply googling “French patisserie”. It is fairly new and this little bit of France in Gungahlin is already a great favourite with the locals. The bakery had a delicious aroma and their croissant rated well in terms of flakiness, was slightly salty and quite light. I was also very impressed with their full range of French patisseries and petits fours and will be making a return journey very soon! Dobinson’s Bakery and Cafe is a perennial Civic favourite and serves up a large croissant that has a texture a bit more like a brioche, therefore slightly lacking the flakiness and butteriness that true Francophiles crave. However it was fresh, golden and crunchy and in the absence of the real thing, was great for dunking in coffee. 7th & Bake Patisserie and Cafe at Kingston Foreshore is busy from early morning as assorted joggers, bike riders and later the morning coffee crowd call in or sit outside on the sunny terrace. 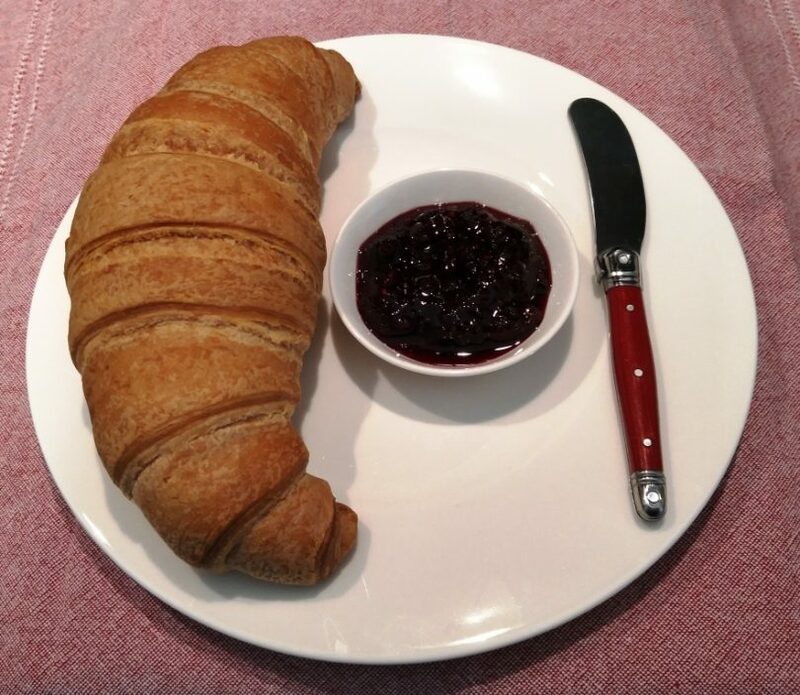 Their croissant was just a little bit dry, not particularly flaky, but it was slightly salty with a soft centre and did the job with my morning coffee and some homemade jam. I was too late for a croissant at Ricardo’s, Jamison Centre, but I was persuaded to try an almond croissant. This pastry confection was delicious with loads of toasted almonds, a light creamy custard in the centre and quite frankly, big enough to share. Despite the distraction of the almonds and icing sugar, this was a pretty good croissant. I was completely distracted by Ricardo’s display of cakes and I can see why it is such a popular Northside cafe too. Silo Bakery in Kingston is a challenge on any Saturday morning, but the orderly queue was served quickly. Despite my concerns that the last of the croissants would be sold before I got to the counter, I was in luck and really pleased I could also stock up on some of Silo’s excellent walnut sourdough bread. This pastry was neither sweet nor salty. 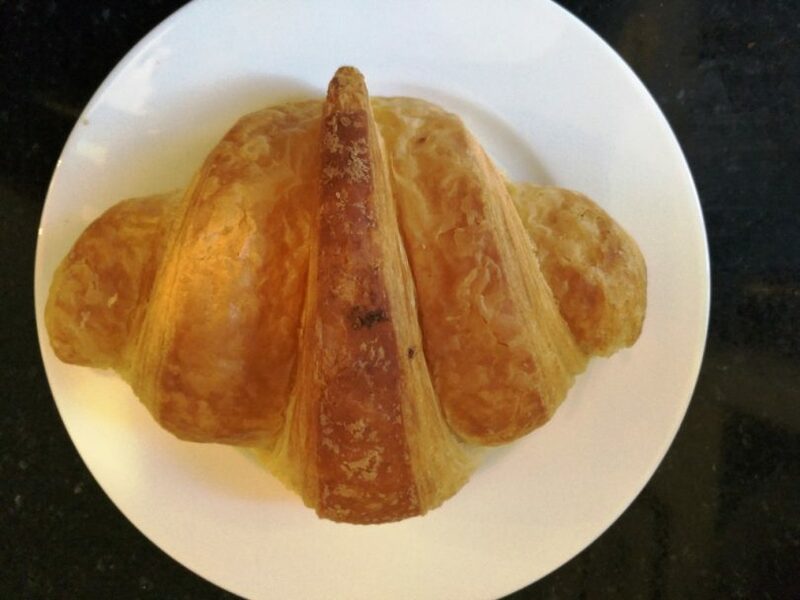 You can always tell when a croissant has been rolled traditionally from a triangle (as was Silo’s) as there is a tell-tale swirl of bread in the heart as you pull the croissant apart. It is difficult to say which was the best or most authentic croissant. I prefer mine fairly small and buttery enough to eat without butter, but I know others who feel let down if the croissant isn’t big enough for two. The less said about those who consider cutting one in half and stuffing it with ham and cheese, the better. There are lots of good artisan and independent bakeries that bake croissants and other delectable pastries in Canberra. Do you have a favourite? Please share your favourite in the comments section below. 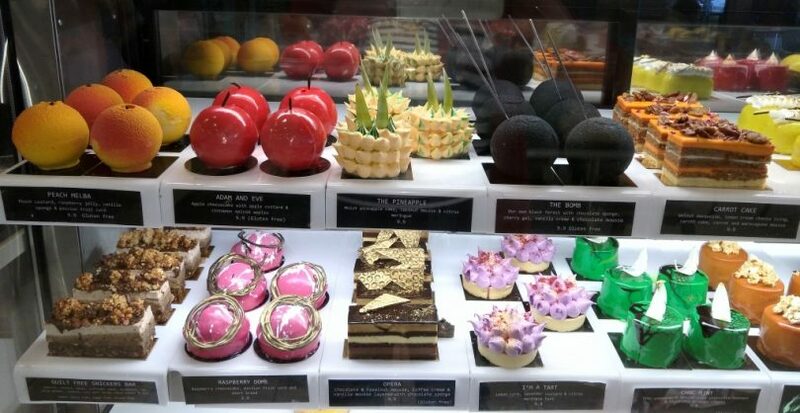 Try Knead Patisserie at Belconnen fresh food markets. The way the cost of butter is going up croissants could soon become a luxury. Breizh Cafe in Ainslie is a wonderful cafe and the croissants are good, but could be better. It is a little bit of northern France in our bush capital city and well-worth a visit. There’s a bakery which has a small stand at the farmer’s market on Saturdays and the Old Bus Depot market on Sundays – I’ve forgotten the name, but they have excellent croissants and other French pastries. There’s a French chef who worked at the Front Cafe and Gallery in Lyneham for awhile and he makes his own croissants – he’s now got his own cafe (Gang Gang cafe) at the new Downer shops in Frencham Place and it’s worth a visit. But on a family visit back to Europe in August the three things at the top of our list were the croissants (a coffee and a croissant for under €5! ), good authentic pizza and good ice cream for a reasonable price. The last two are almost impossible to find in Canberra. Thank you pllplld for your croissant suggestions. I have been meaning to visit the newish cafe at the Downer shops and this is a really good reason. I will check out the pop-up baker at the Old Bus Depot Markets tomorrow. I suspect I have tried one some time ago and just forgotten when I started to think about this article. 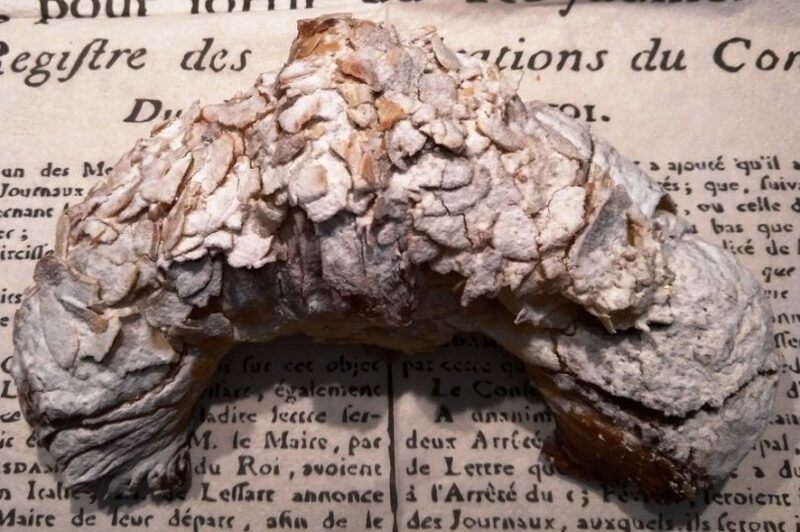 My obsession with a true French croissant is driven by the memory of my very first authentic croissant. It was in Paris and it was a long time ago. As many of us remember important events in history, I remember my first crunch of a croissant in a little hotel in Paris aged 10. My increasingly infrequent holidays to France are well-planned and absolutely focused around authentic food experiences! I remember a near riot in a small hotel because some hearty hungry backpackers had made the breakfast buffet early and cleaned out the croissant basket despite the large notice stating only one croissant per person! Breizh is the best place for croissants in Ainslie shopping centre. Sadly there are no good french patisseries in the southern parts of Canberra such as Tuggeranong…now that it is one of the major centres of Canberra, surely we need some great bakers and patisseries? There were quite a few suggestions on the Facebook posting of this article. 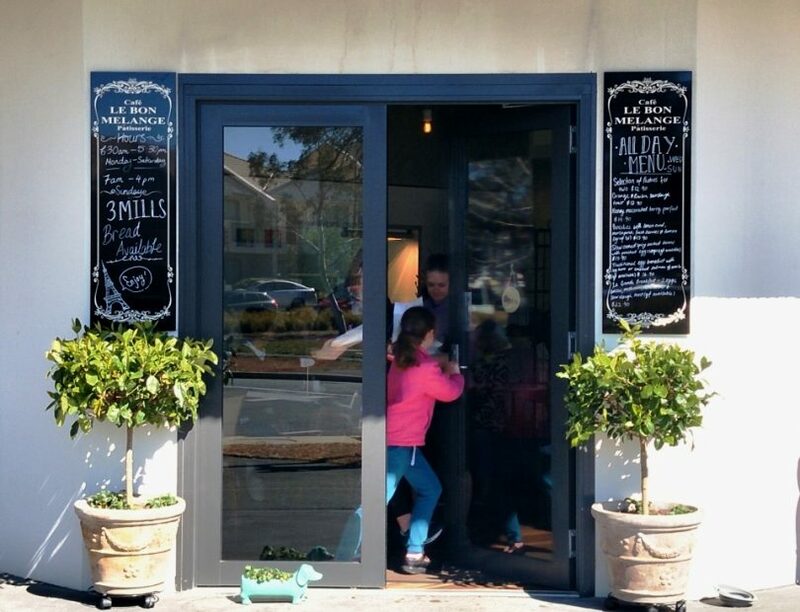 Two readers recommended the bakery at the Wanniassa shops. The next nearest suggestion is Space at Woden (run by Ricardo). I think I am going to try and make my own! I’m not the biggest buyer of croissants in Australia as I always find them disappointing. When I was at school in the uk, we used to go for a week every year to France and we would be fed croissant every morning for breakfast with hot chocolate for dunking in. 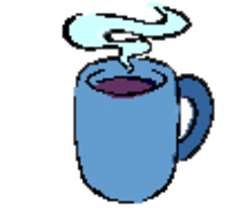 I now like to dunk my croissant in coffee – so you need both to be worthy. I will sometimes get one at Bean & Grain at Fyshwick markets with my regular Saturday coffee there. Decent size, flaky, buttery. Coffee not bad either. Knead at the Belconnen markets has the best Croissants without doubt. Probably the most expensive, but very traditional and obviously made with the highest quality ingredients. But isn’t that the way with food for many people! If the meal is served a realistic size and isn’t big enough for two people, they complain the servings are too small. Servings at some places have become very large. I am always overwhelmed by the size of servings of french fries, one of the few things that don’t taste better for breakfast the next morning. Recently on holidays, two of us started to order just one meal. We NEVER went hungry. As I mainly cook my own meals, it always comes as a shock how big many restaurant meals are. No wonder there are so many overweight and obese people. 65%? Yes, chip sizes are often ridiculous. Silo, for sure, makes the best croissant around. Their service has improved too so it’s no longer an unpleasant experience. I’m glad for them. As for Dobinsons, I think you let them off the hook a bit too readily. Their croissant is a crime against humanity and might as well be served up in a tin foil tray with three mates at Coles. Not an authentic bakery turning out big is better fare. As to the new French place at Gunghalin, Le Bon Melange, I’ve been impresssed. Their croissant had the right sweet-salty balance and the right crispy-melty balance. A worthy addition to this town’s too sparse offering of decent bakeries. The best croissant I had was at an Alliance Francais event at Albert Hall. Catering was by Le Tres Bon from Bungendore. Lucky you! I don’t think the wonderfully talented Christophe Gregoire makes pastries in commercial quantities, but I have been meaning to check out his cooking classes as they are very highly rated. Sadly Cornucopia has been gone for a few years now but I do recall their croissants being really light and flaky. I was a regular customer for nearly a decade and just loved their orange and almond cake, as well as their excellent pastries and crocodile (sort of a baguette) bread. Silo is now my regular and I try not to go on Saturday morning when it is so amazingly busy! While there are plenty of tasty, flaky crescent shaped pastries in Canberra (the offerings from The Flute Bakery and the EQ Bakehouse spring to mind) I have yet to find a truly french croissant in Canberra. 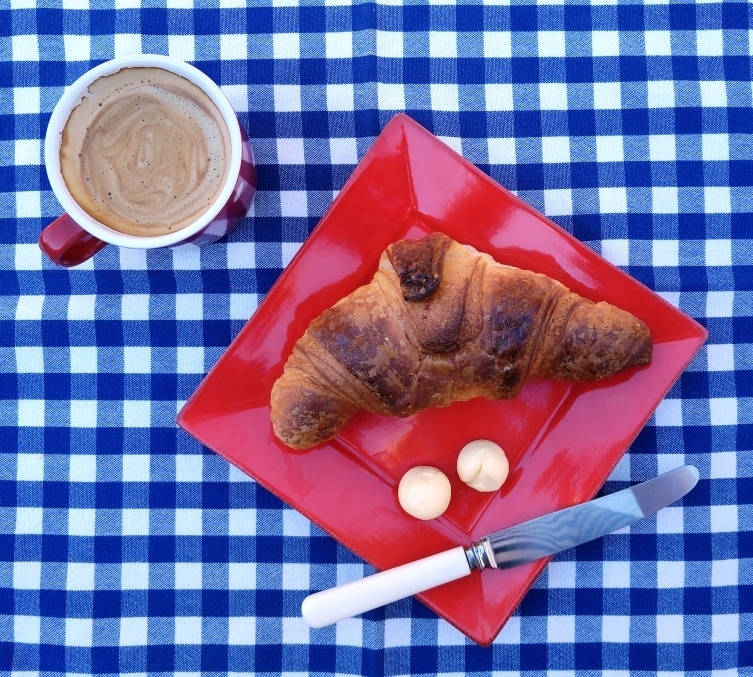 Have you tried the Breizh Cafe at Ainslie for a croissant? They (French owners) use proper butter ‘n all, I’m sure theirs would be authentic. It is nice to get so many suggestions! I will also put Breizh Cafe on my list and hope other croissant fans will try a few of the suggestions both here and on the Facebook post. Thanks for the suggestion of Les Gourmandises in Moruya. I will check it out on my pre-Christmas visit. Both EQ and Flute are great places for all sorts of pastries and breads – we are actually quite spoilt for choice in Canberra most of the time! The best croissants I ever had in Canberra were from Dream Cuisine in Fyshwick, but that sadly also closed down last year. I don’t know if anyone else is making them with the same kind of cultured butter now?